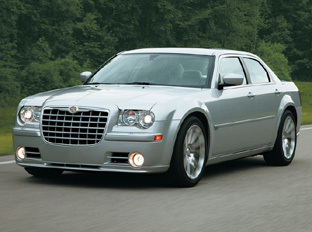 The Chrysler 300C SRT-8 was introduced at the 2004 Pebble Beach Concours d'Elegance. 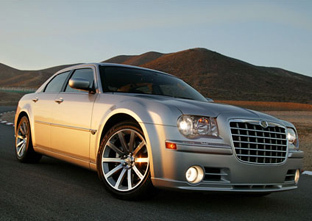 The 300C SRT-8 is powered by a 6.1 L Hemi V8 which produces 425 hp (317 kW). Additional features of the SRT-8 version include leather SRT-8 performance-embossed seats and 20-inch forged, polished aluminum wheels, Brembo brakes, and rear lip spoiler. The earlier 300C SRT-8 models, 2005-2006, didn't have the lower air dam which was introduced in 2007. This improves cooling to the engine by as much as 30%.